If you are a real estate professional, and would like to build your business with many symbiotic business relationships, tell us a little more about yourself and your business. We'd love to learn about your unique approach to the World of Real Estate! If you are considering real estate investing as a full or part-time career, but don't know where to start, well now you do! Simply click on the link provided on this page. Put your name and Email in the spaces provided, and we will get back with you ASAP! 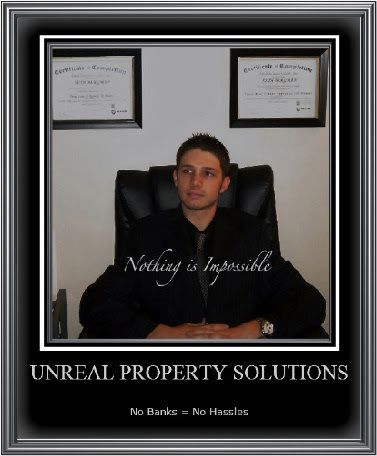 We will show you how to become a wealthy real estate entrepreneur by working with you personally to achieve your goals. Failure is not an option for us. "Failure is merely a stepping stone on the path toward success." If you are motivated to succeed, teachable, and willing to accept constructive criticism; then we will NOT let you fail. We create success stories! Surround yourself with successful people, be honest and humble, and you will be successful. Now the level of success that you achieve is up to you and your driving factor. What drives you? What motivates you? Are you motivated? Are you next? Connect with us. We'd love to hear about your story!